Most of us have been born in an age of electric power. As such, unless one is living in the most rural parts of the world, it is expected they have power in their homes. We have come to be so dependent on power such that when there is an outage, most people feel like they have been thrust back to the stone age. Technologies that have given us power have changed over the years. Other more efficient machines have now replaced the massive machines that used to generate power. Since innovation never stops, there has been the creation of newer technologies to produce power over the years with a mind to preserving nature as opposed to the old ways that put our environment at risk. Today, innovators are looking at clean energy that is renewable but also leaves a smaller carbon footprint on the environment. Without further ado, let us explore upcoming innovations that will change the power sector for better. Solar power had been one of the most neglected forms of renewable energy until Russell Ohl invented the first solar cell right after the invention of the transistor. This technology has continually been refined to this stage where most solar panels have cells made of silicon. Scientists at the Commonwealth Scientific and Industrial Research Organization have taken the invention further by creating solar inks that can be printed on a myriad of surfaces and will still work just fine. For example, this ink can be applied up to A3 size via screen printing or even spray coating. The most alluring part of this technology is that its relatively low cost and flexibility make it the choice tool to light up even the most remote places in the world. Today the world is more mindful of the environment than it was twenty years back because of the proven effects of greenhouse gasses in our atmosphere. As such, many consumers today want better fuel efficiency along with fewer emissions. The answer thus becomes creating a bigger, better battery. Today we have seen the invention of hybrid and purely electric vehicles from companies such as BMW and Tesla who have not only made giant leaps in the business but changed it completely for good. Rechargeable lithium-sulfur batteries are the future and are expected to increase normal capacity by a minimum of three folds. This, in turn, means that cars get more mileage from a single charge together with fewer emissions into our environment. Usually, when electricity goes out in one grid, the whole area covered by that grid goes dark. This is quite inefficient and dangerous in instances where there are critical systems that need power to function. This is why the innovation on self-healing grids is highly essential. Having a self-healing grid means moving away from certain technologies such as centralized power plants to make room for a more decentralized system. 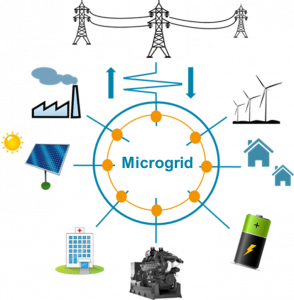 With the self-healing grids, energy is produced and distributed closer to the intended destination. With such a grid in place, power outages do not have to affect entire cities. They will be isolated to a specific zone at which the electrical engineers will look into the problem and provide a suitable solution.